Daily boat trip is the best way to discover the beautiful coastline of Kemer. It is a half-day journey with lunch and animation on the boat. You will see the most beautiful bays, beaches and the picturesque islands, stop for swim in clear turquoise water and discover the ruins of an ancient city-port Phaselis. 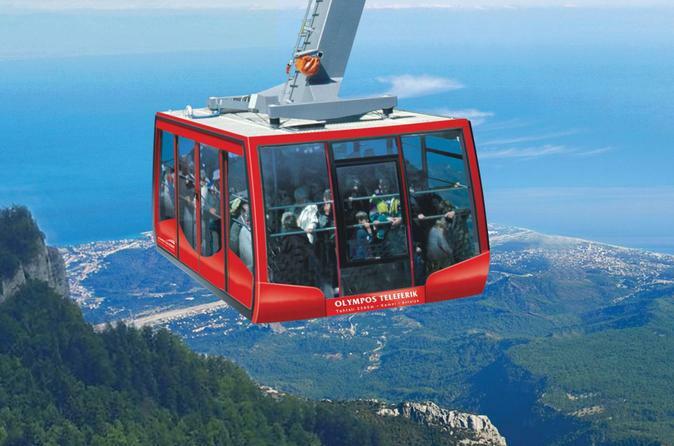 Being on holiday in Kemer don't miss on the wonderful experience of the cable car ride 'from sea to sky'. Enjoy amazing views from the top of Tahtali mountain which stands 2365 mt above sea level. 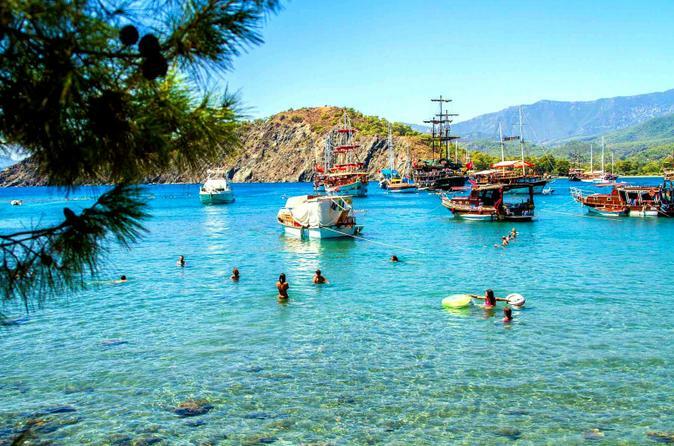 You will see the beautiful coastline of Antalya region, gorgeous mountains, pine forests and turquoise Mediterranean sea. Great pictures taken during the trip will remind you of this unforgettable experience. 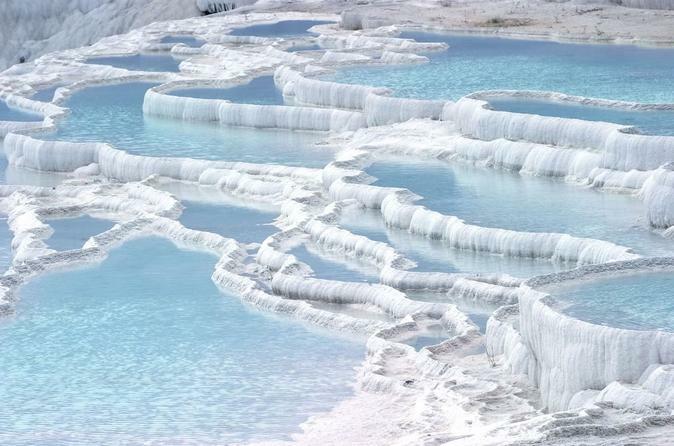 Enjoy this full day tour from Kemer to visit Pamukkale hot springs and travertines, which contains terraces of carbonate minerals left by the flowing water. 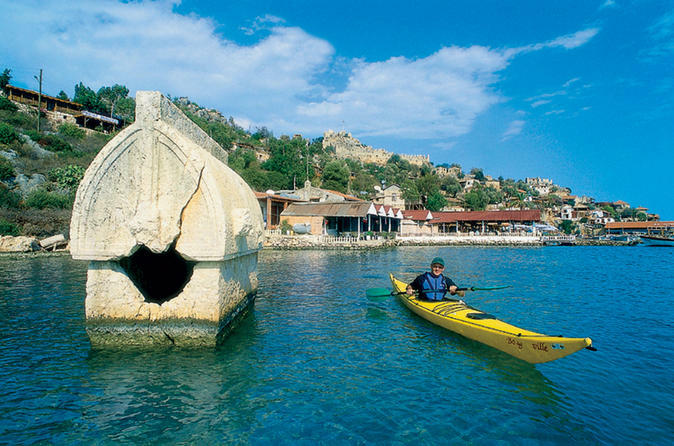 Also visit the ancient city of Hierapolis and enjoy a Turkish dinner. 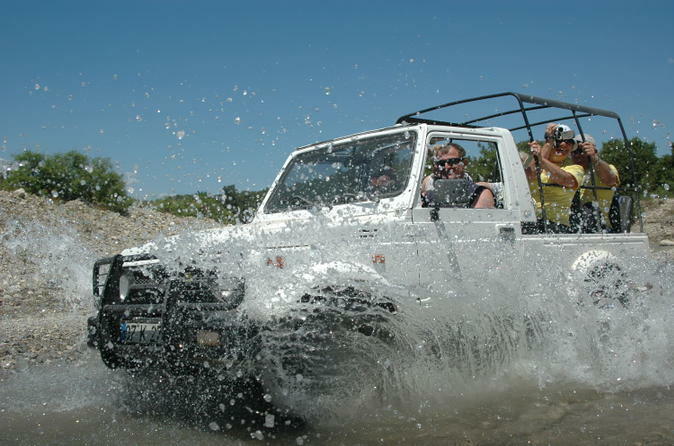 Jeep safari tour is one of the things you must do if you ever visit Kemer. You will have lots of fun and excitement, experience off-road adventure through the Taurus Mountains, enjoy pure nature and beautiful countryside. 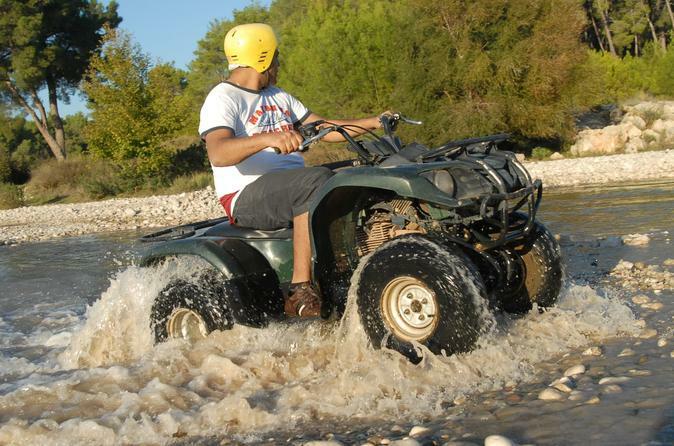 If you are looking for an adrenaline pumping activity join our quad safari tour in Kemer. Riding a quad bike through the pine forests and muddy streams in Taurus Mountains can be the most memorable experience on your holiday. Experience the Turkish Bath in Kemer that is open year round. Here you can relax and experience the sauna, steam room or enjoy a body scrub, foam massage and oil massage. Experience the rush of adrenaline. You can do rafting at the rapid water currents of Koprulu Canyon. 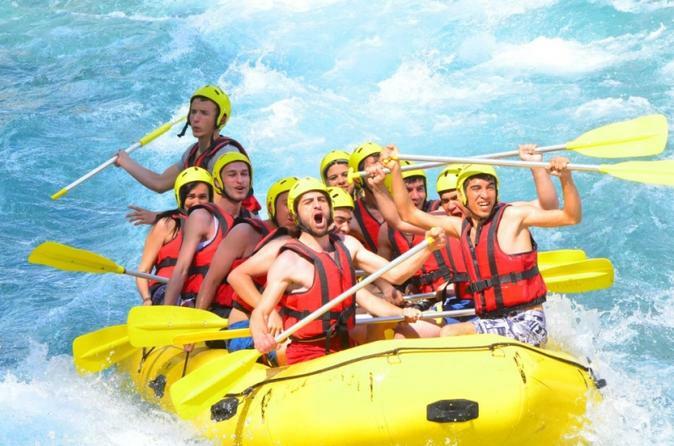 It’s a truly amazing experience fit for a family, as sophisticated security measures are taken by the rafting guides. Visit the Koprucay Canyon National Park for a stirring and adrenaline-charged, full-day rafting tour. 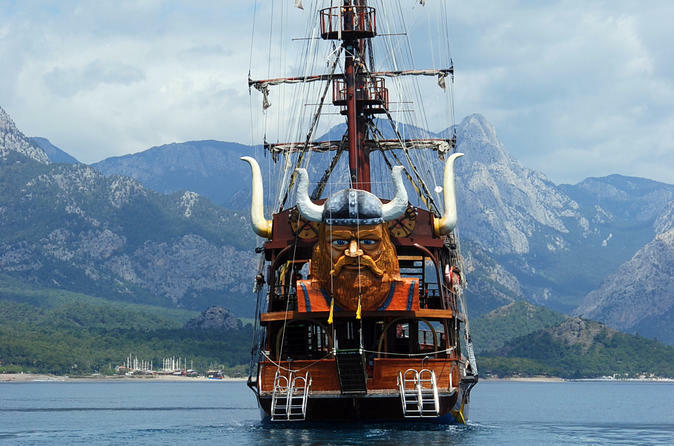 Viking boat trip is the best way to discover the beautiful coastline of Kemer. It is a half-day journey with lunch and animation on the boat. You will see the most beautiful bays, beaches and the picturesque islands, stop for swim in clear turquoise water and discover the ruins of an ancient city-port Phaselis. Cappadocia is an amazing wonderland in the middle of Turkey. Being world famous for the incredible rock formations it is really worth a visit. Join a 2 day trip from Kemer to discover the most beautiful valleys of Cappadocia, to explore the underground city, rock houses and rock-cut churches. 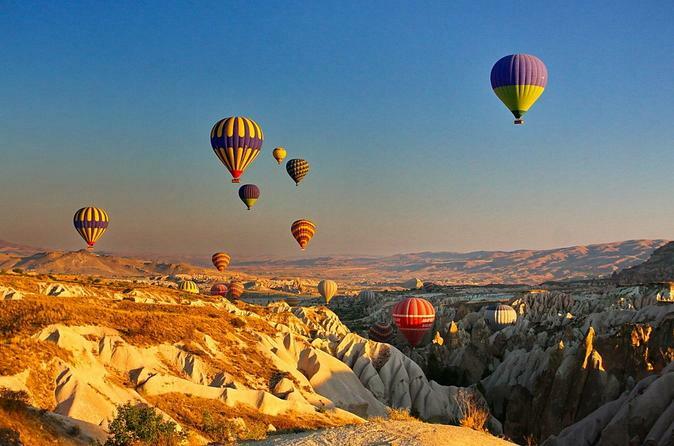 Spend two unforgettable days in Cappadocia and you will definitely wish to come back there again.